When it comes to safety on America’s roadways, impaired driving and distracted driving get most of the attention. However, drowsy driving can be just as dangerous. Once the average person has been awake for 24 hours, their judgment and reaction time is just as impaired as if they were driving with a BAC over the legal limit. Every year more than 70,000 people are injured in the United States as a result of drowsy driving. Some organizations have begun to recognize the dangers of drowsy driving and have taken steps to combat it. The US National Sleep Foundation (USNSF) declares an annual Drowsy Driving Prevention Week designed to draw attention to this issue. USNSF concentrates on public education, with a particular focus on the under-reported nature of drowsy driving. Unlike drunk driving, drowsy driving leaves no visible or testable effects on the driver. Barring rare eyewitness testimony, it is up to the driver to report themselves as having been drowsy at the time of the accident. For obvious reasons, many do not. The National Transportation Safety Board (NTSB) also recognizes the serious nature of this problem, announcing recently that the severity of the threat rivals that of drunk driving. A forum took place this past October in Washington DC regarding drowsy driving and its implications. Among the topics discussed were workplace issues, concerns for novice drivers, and possible countermeasures. Board member Mark Rosekind remarked on the difficulty of the issue, saying “Humans are just horribly inaccurate if we have to self-diagnose fatigue. That’s what allows us to put ourselves in life-threatening situations.” His words highlight the insidious nature of drowsy driving, often drivers don’t realize how impaired they have become until it is too late. New technology is currently being developed to combat drowsy driving. Many new cars already have a safety feature that sounds an alarm if the driver begins to drift out of their lane. Another promising safety feature uses a camera to watch the drivers face and sounds an alarm if their eyelids start to droop. That feature is still experimental, but its development is being watched closely by trucking companies and other large businesses that are especially at-risk by drowsy employees. For now, the only real defense against drowsy driving is making sure you are well-rested and on alert every time you get behind the wheel. Do not rely on tricks like the windows or radio, as they only give you a momentary illusion of alertness. The actions of entities like USNSF and NTSB are slowly addressing the problem, but you can help keep the roads safe by never giving in to the temptation of drowsy driving. 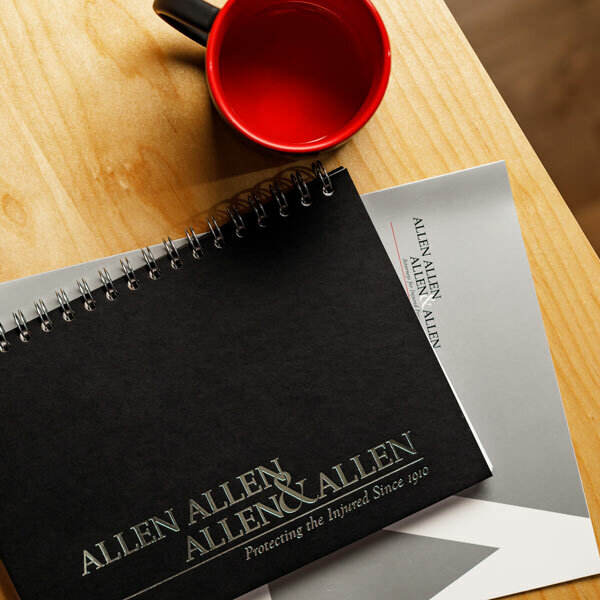 About The Author: Trent Kerns currently serves as the Firm President of Allen, Allen, Allen & Allen. He has been practicing as a personal injury lawyer for over 30 years and during that time has successfully helped thousands of clients in their battle against large insurance companies.